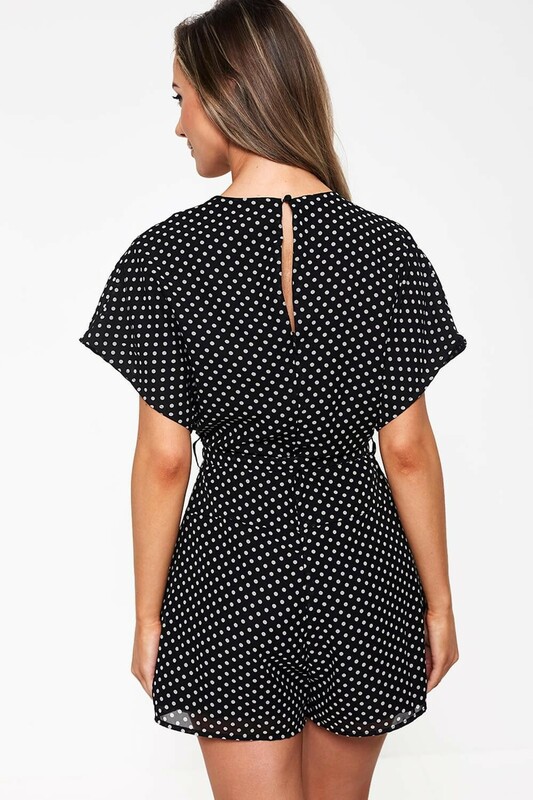 Refresh your weekend wardrobe with this polka dot play-suit. Featuring a flattering V neck, flared sleeves and a self-tie waist to define the waist. Pair with strappy heels and a clutch bag for a night out. This garment is part of our sustainable range, made from recycled polyester fibers.